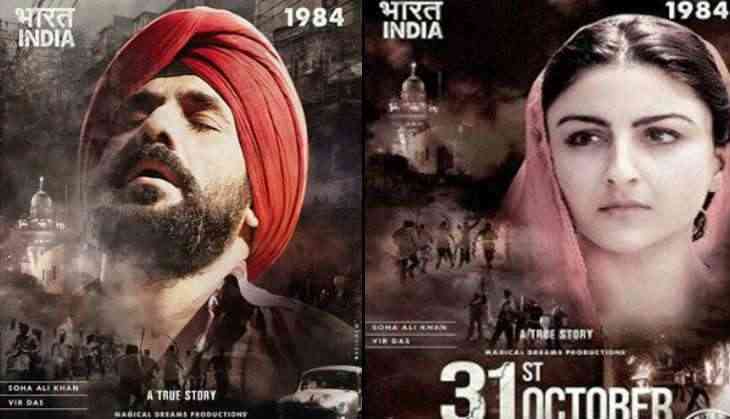 The Central Board of Film Certification has cleared 31st October, a film based on former Prime Minister Indira Gandhi's assassination. It features Soha Ali Khan and Kunal Khemu. However, it took the board four months to clear the film with several recommended cuts. According to its producer Harry Sachdeva, many of the scenes depicting violence and bloodshed had to be edited. "I took nine major cuts. The censors (CBFC authorities) insisted that some of the scenes and dialogue could instigate a particular community so it needed to be toned down," he said in a statement in Mumbai. "The Revising Committee made us re-submit the film several times, trimming down scenes that they had issues with by six to seven minutes. All verbal abuses have been beeped, even something as common as 'saala' on several instances," Sachdeva added. Even after so many cuts, the makers are content that the scenes relevant to the storyline have been retained. "It took time (to clear the film) but we were eventually able to convince the Censor Board to retain the scenes, which brought out the realism of the story and which were important to the narrative. There's a reason for bringing this subject to the screen and justice needs to be done to the subject," Sachdeva said. Directed by National Award-winning filmmaker Shivaji Lotan Patil, the film is produced by Magical Dreams Productions Pvt Ltd and Harry Sachdeva.